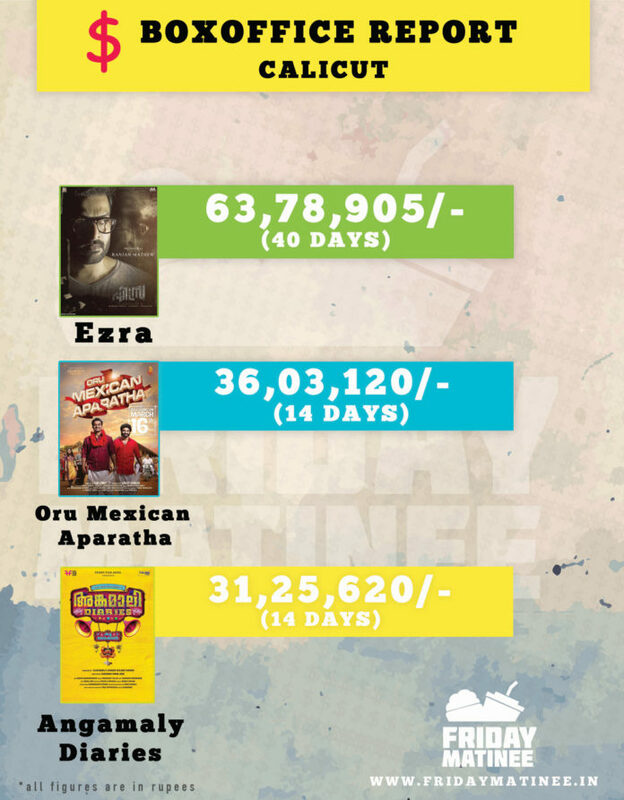 Ezra Prithviraj starer movie collected 63,78.905/- Rupees from 40days run in calicut box office. Mexican Aparatha ft. Tovino made a business of 36,03,120/- rupees from 14 days. Angamaly dairies which is released with oru mexican aparatha has done business of 31,25,320/- rupees from the calicut box office. Also check out the Kochin Boxoffice Report (Multi) for reports of current movies running in Cochin Multiplexes.